These non greasy Avocado treatments for eye’s helps smooth out the lines and decrease puffiness under the eyes. The hydrating effect of this non greasy cream works to keep your skin healthy and smooth. The cream readily absorbs and gives your skin a beautiful silky texture. The seasons can do a number on your skin. 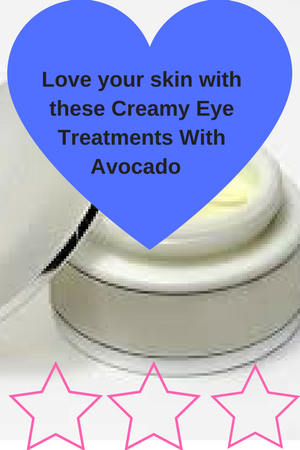 From hot blasts of wind in summer time to brutally cold temperatures during the winter months your skin needs the protections and rejuvination creamy eye treatment with avocado can give.